Our Eastern Seaboard Representative of the Miniature Museum of Natural History is Stella Schultz, who lives near Boston. Stella developed an interest in science very early in life, in love with so many aspects of nature. Always a dedicated scholar of whatever she finds interesting (she studied Chinese for several years!) she began a botany experiment logbook and got a high powered microscope to look at the things she collected in the wild. 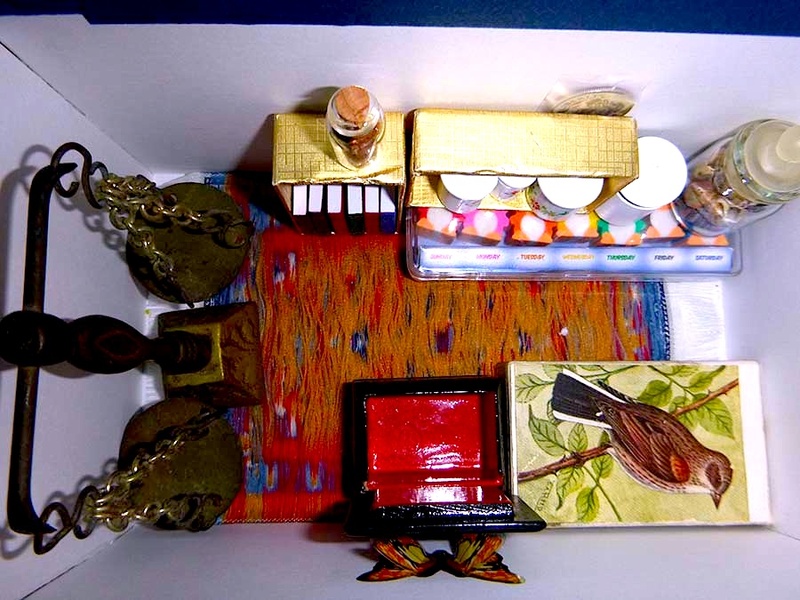 She began her own miniature laboratory with things she built and collected and with some tiny glass test tubes and other micro things sent to her by the Miniature Museum group. Here are some photographs of her laboratory arrangements. We encourage all who are interested in the miniature museum to send us their pictures and tell us about the things you love to study in the natural world!